Tim Hart has over 25 years of experience serving the travel and hospitality industry. He began his career at Andersen Consulting in 1984, after receiving his MBA in Finance. In 1988 he joined Joseph McCall and Company, an Atlanta-based technology consulting and development company. In 1992, he became VP of Product Development at Aeronomics Incorporated, a pricing and revenue management solutions provider across various travel segments, including hospitality, airlines, rental cars and cruise lines. Aeronomics later merged with Decision Focus Incorporated to become Talus Solutions, which was later acquired by Manugistics. In 1999, Mr. Hart co-founded The Rubicon Group, a travel and hospitality data and business intelligence company. He served first as Chief Operating Officer and subsequently as Chief Executive Officer. Rubicon grew from a startup to a preeminent provider of competitive intelligence to the world's largest hospitality and rental car companies. Mr. Hart became a frequent speaker at industry meetings, presenting insights from Rubicon's deep forward-looking demand data. In 2011, Rubicon was acquired by Travelclick, a leading hospitality solutions firm. He served as Executive Vice President of Business Intelligence for Travelclick until 2014, when he became CEO of Knowland. Under Mr. Hart's leadership, Knowland has transformed from what is commonly referred to in the hospitality industry as a 'readerboard' company to an industry innovator and a leader in market intelligence for hotels, venues, and convention and visitors bureaus. Additionally, Mr. Hart has guided Knowland through numerous acquisitions, and has significantly expanded the company's product offerings by introducing new next-generation analytics-based solutions that help customers find, evaluate, pitch and win the best groups and meetings business. Mr. Hart lives in Washington, DC with his wife, Laurie. They have four grown children and three grandchildren. Please visit http://www.knowland.com for more information. The hotel industry has undertaken a long-term effort to build more responsible and socially conscious businesses. What began with small efforts to reduce waste - such as paperless checkouts and refillable soap dispensers - has evolved into an international movement toward implementing sustainable development practices. In addition to establishing themselves as good corporate citizens, adopting eco-friendly practices is sound business for hotels. 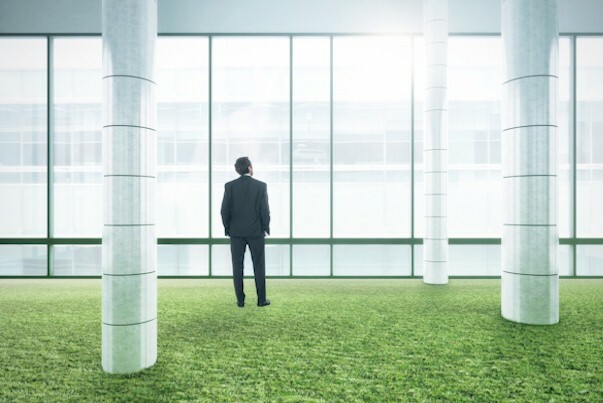 According to a recent report from Deloitte, 95% of business travelers believe the hotel industry should be undertaking “green” initiatives, and Millennials are twice as likely to support brands with strong management of environmental and social issues. Given these conclusions, hotels are continuing to innovate in the areas of environmental sustainability. For example, one leading hotel chain has designed special elevators that collect kinetic energy from the moving lift and in the process, they have reduced their energy consumption by 50% over conventional elevators. Also, they installed an advanced air conditioning system which employs a magnetic mechanical system that makes them more energy efficient. Other hotels are installing Intelligent Building Systems which monitor and control temperatures in rooms, common areas and swimming pools, as well as ventilation and cold water systems. Some hotels are installing Electric Vehicle charging stations, planting rooftop gardens, implementing stringent recycling programs, and insisting on the use of biodegradable materials. Another trend is the creation of Green Teams within a hotel's operation that are tasked to implement earth-friendly practices and manage budgets for green projects. Some hotels have even gone so far as to curtail or eliminate room service, believing that keeping the kitchen open 24/7 isn't terribly sustainable. The May issue of the Hotel Business Review will document what some hotels are doing to integrate sustainable practices into their operations and how they are benefiting from them. Copyright © 1996-2019. All content on HotelExecutive.com. All Rights Reserved.